Custom doors for your Ikea cabinets. 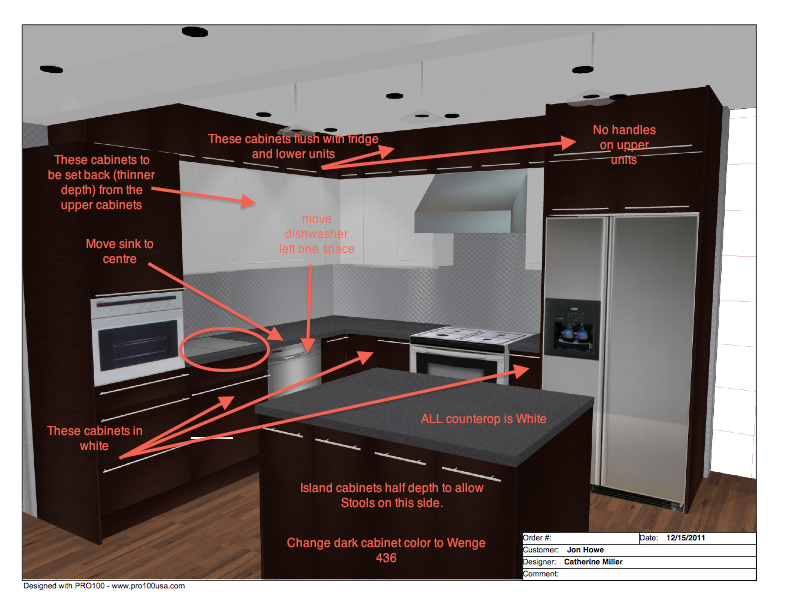 Our house is being done on a tight budget and so getting a completely custom-made kitchen is just out of the question. We also don’t think its necessary. Ikea cabinetry is pretty well made, they use industry standard sizes and high-end hinges but they don’t offer a ton of choice in terms of the finishes. The doors, the panels and the faces are pretty much set. So what to do if you want more customization? Enter Semihandmade these guys can custom build doors & panels to fit any Ikea base cabinets – giving you a custom look well for an inch of the price!! 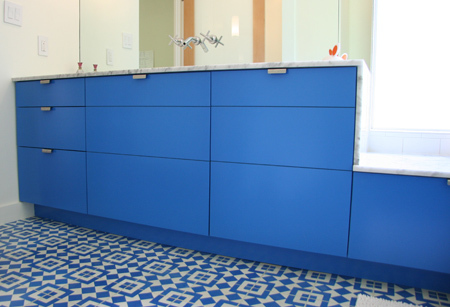 These panels were used in a bathroom to give a unique color twist to the cabinets. This is something to seriously consider at if you want the look and feel of a custom kitchen but at a third of the price! I saw this kitchen design on Houzz the other day and I was very impressed by it. What I love is the use of double cabinets to give a small space a ton of storage. This is something we will have to seriously consider as we wont have the biggest kitchen ever and storage will be at a premium for us. I like the contrasting colors too but I think I would want to give it more pop of color by doing something bright for the side and top cabinets as otherwise it feels a little lacking in personality. Even more impressive is that this kitchen is entirely made of Ikea cabinets using the Nexus door and the Abstrakt doors! I can see us seriously looking at Ikea again for the cabinetry as long as they have the range of styles for us.